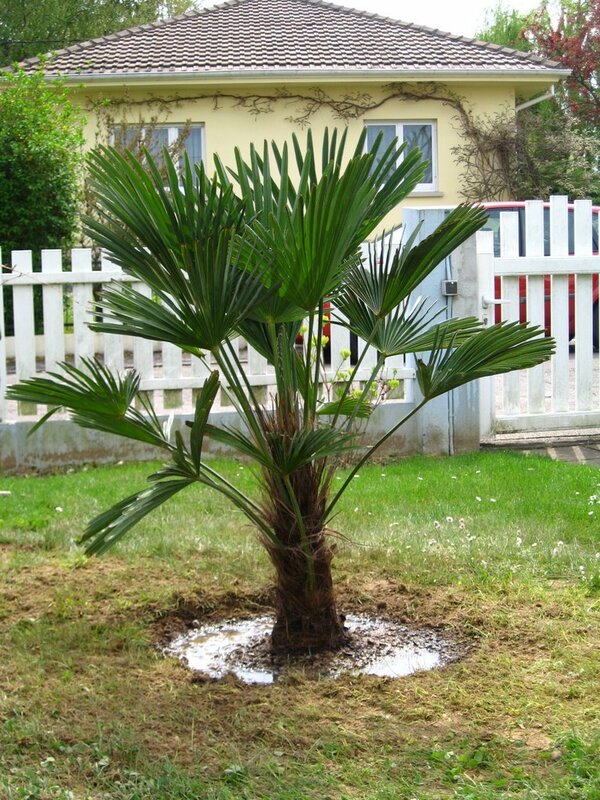 Trachycarpus ‘Wagnerianus’ is an easily identified cultivar, with small, stiff leaves (much unlike that of Trachycarpus fortunei). 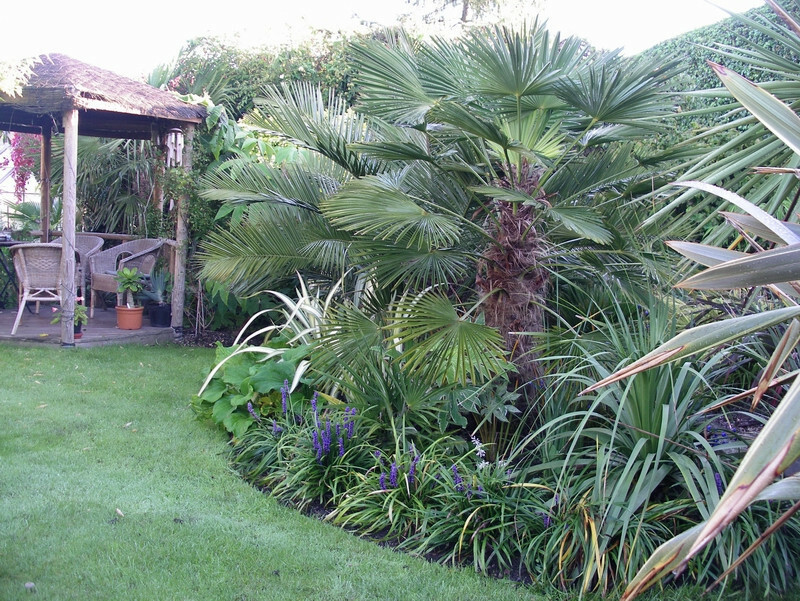 The leaves of younger are nearly circular, but those of older plants tend to be hemispherical. At all ages they are relatively small, from 18 to 26 inches wide. and are borne on 2- to 3-foot-long petioles. 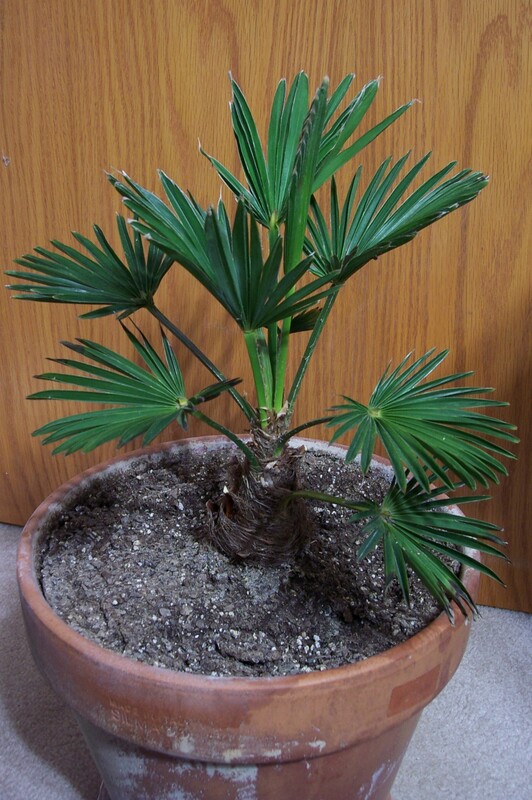 The leaf crown is hemispherical and often extended, especially in younger individuals. New growth is margined with a short but dense white woolly tomentum. 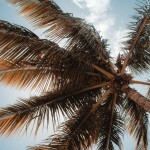 The palm’s trunk grows to 30 feet tall, or more sometimes, and is 8–10 inches (20–25 cm) in diameter, when free of the leaf base fibers that tend to remain for a good while.